The Asylum’s new movie is said to be a “real” Exorcism. 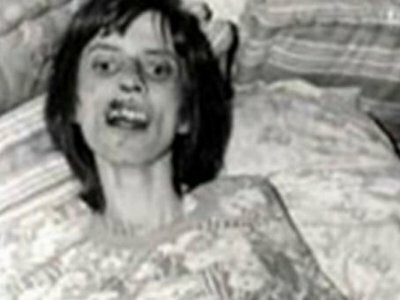 The Asylum has gotten (supposedly) some actual footage from the infamous 1970s exorcism of Anneliese Michel, a German woman whose case was the basis for The Exorcism of Emily Rose. Anneliese Michel was a devout Catholic who, underwent over 60 exoricisms in ten months because she was allegedly possessed by something. She died in July of 1976 from malnutrition and dehydration. Asylum allegedly obtained this footage from a man named Dixon Engle who bought a large box of random, sometimes unmarked, tapes at an estate sale and, after some research, determined that these tapes depicted Anneliese's exorcisms. The Asylum has made a deal with Engle and producer Jude Gerard Prest to rush these tapes to DVD, so look for them on March 1st. Now I for one one am hoping that these tapes are real, chances are they are not and this is just some type of clever marketing in the style of “The Blair Witch Project”. Either way this looks to be very interesting and I can’t wait to see this on DVD. So what do you think, real or fake? Watch the clips!